Finding Your Blogging Niche has been one of my most highly viewed posts to date. Readers keep sharing and coming back to this post that I wrote months ago, not because I shared ground-breaking information or did a fantastic job writing it, but because I believe finding a niche is one of the greatest struggles for entrepreneurs and bloggers. Especially when you’re first starting out, it’s hard to find that groove and zero in on a focused group of people to write for and market to. While I agree with the information I shared in that post, I’m admitting today that I took the wrong approach to the subject. Because the longer I’m in business and the longer I contribute to this blog, the more I realize that it isn’t about finding a niche; it’s about creating one. All of these insights for how to create your niche have come from firsthand experience. It’s important to note that when I first started Elle & Company, I did the exact opposite of every bit of information I’m sharing. 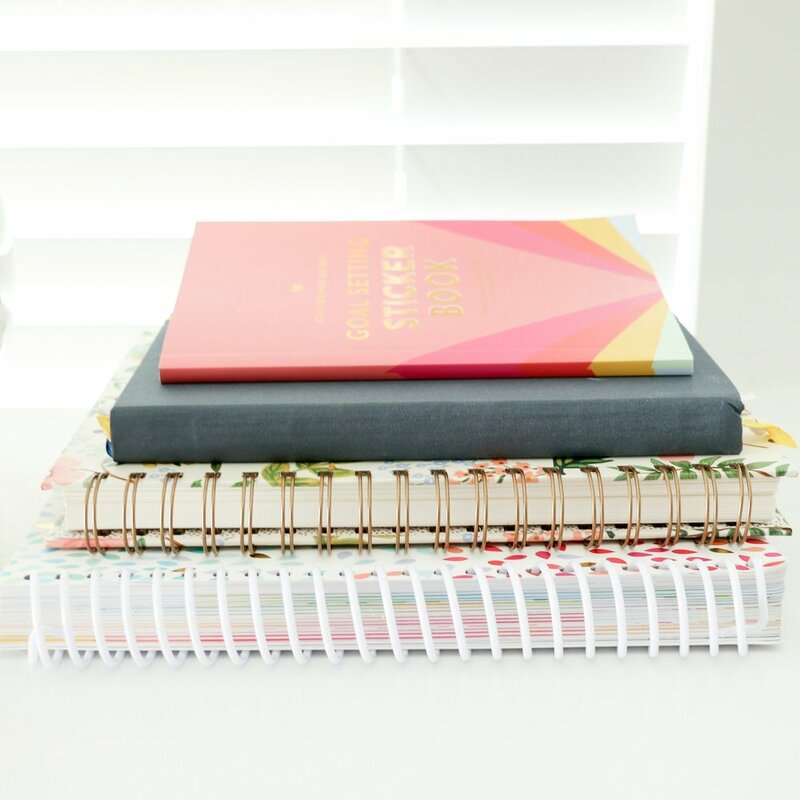 After months of stagnant readership and little sales (and after my business-minded husband jumped on board), I began to find that ‘sweet spot’ and saw success. So if you’re at a place where you feel stuck and directionless with your blog or business, I’ve been there. Think of this as a starting point for change and an opportunity to get creative with your blog or business. It’s easy to go into business because you have an interest in a field or industry. And while it’s important to have passion and motivation in what you’re doing, many times we forget that the most successful businesses succeed because they’re offering a good or service that people need (or think they need). Instead of putting all of the time and focus into trying to get people on board with your passion, consider ways that your blog or business can meet one of their needs. As I started to work with other small businesses for design services, I saw just how many young women entrepreneurs were coming into creative industries. I also noticed that many of them didn’t know where to begin in business and blogging, and I knew from my own experience that it was difficult to find practical, helpful resources on those topics. It seemed like no one was willing to share information. I saw a need. It seems like a no-brainer that you would focus on the areas where you excel; we’re often bolder and more confident when we play to our strengths, which is extremely beneficial in business. But the hang up that most people have with this step is how to integrate their strengths with a consumer need. Instead of thinking about just one of your skills and how to highlight it within your business, consider how multiple strengths might play a part. Think about your gifts and talents as well as your personality type, work ethic, critical thinking, creativity, etc. Once I saw a need in the industry for a personable, informative business resource, I began to brainstorm how I could use my strengths (as well as Jake’s) to solve it. My background in art and graphic design is beneficial to not only create brands and websites for other creative entrepreneurs, but to educate others about design fundamentals for their business and blogs. While I can come up with creative ideas some of the time, I have a workhorse mentality and a large attention to detail, which comes in handy when I’m writing blog posts geared toward creative entrepreneurs every weekday. Jake is extremely business-minded and loves doing research on business and blogging, which is invaluable for coming up with blog content and new ideas for Elle & Company. And unlike myself, he’s very much a big picture kind of guy, which is helpful for setting goals and finding ways to meet the needs of our audience. Some of these strengths started as interests, but we’ve learned that having a great interest in something is a strength in and of itself. It’s easy (and tempting) to look to others in your industry for ideas on how to run your business, write for your blog, and handle clients. But if you have an easy time finding others who do something similar to what you do, that should be your first red flag. Your business should meet a need and play to your strengths, but even more importantly, you should be striving to make it one-of-a-kind. Businesses and blogs that blend in with all of the other businesses and blogs out there are missing out on a great opportunity to set themselves apart, gain attention, build an audience, and make sales. 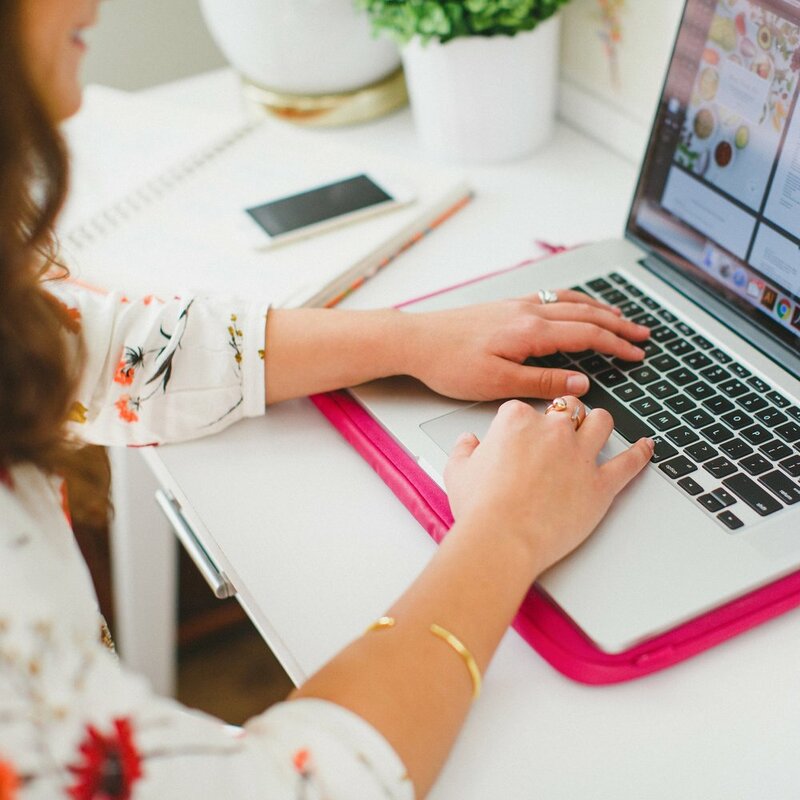 While there are many sites like Entrepreneur.com and Copy Blogger that share fantastic business and blogging information, there aren’t many sites that break it down from a design perspective specifically for female creative entrepreneurs. I would like to think of you mixed a 20-something designer with Martha Stewart and a contributor to Forbes, you would find me. At least that’s what I strive for! I also try to set myself apart in giving away my secrets, embracing radical transparency, and letting my audience in on my journey. I’ve come to realize that the harder time I have in finding other entrepreneurs and bloggers who are similar to me, the better. I think we’re too often our biggest critics, so we’re quick to shoot down big ideas and label big goals as too far-fetched. Many times this keeps us from pursuing a need, playing to our strengths, and doing something completely out of the box and original. I’m currently reading a book by Seth Godin, Purple Cow, in which he says that it’s riskier to be safe in business and safer to be risky. I wholeheartedly agree. If you play to everyone else’s standards and keep yourself from dreaming on a larger scale, you might never break out of these pre-made niches and form your own. Before Jake came on board, my dreams were far too small. I put myself in a neat little box, terrified to venture outside of it. I stuck to the same types of blog posts and business offerings that I had seen other designers have success with, and not surprisingly I felt boxed in and uninspired. So I began to think bigger. I want to reach 100k unique blog visitors. I want to launch an Adobe Illustrator e-course geared toward bloggers and business owners. I want to speak at conferences and workshops. I want to guest post on bigger blogs. As I began to set my sights higher, I was able to break out of that standard niche that I felt confined to. Creating a niche isn’t a one-and-done kind of operation. Once you create your niche, meet a need, and differentiate your business, you have to continue to stay on top of trends, technology, and industry changes. You must be open to change, learn to adapt, and continue to think creatively about how to improve and innovate. Strengths can always be built upon, there are always new things to learn, and industries are constantly changing. Creating a niche is ongoing; you continue to set the standards and shape what your niche looks like. This is where Jake’s research abilities and big-picture ideas have been so helpful for our business. He’s always pushing me to stay on top of the curve, be open to change, and continue to learn. I can’t let you in on what that looks like at this very moment, but if you continue to follow along with Elle & Company, you’ll find out soon enough! If you take away anything from this post, I hope you take away that it’s less about finding your niche in business and blogging and more about creating it. By focusing on finding a need, playing to your strengths, taking a unique approach, setting high goals, and staying up to date, you have a great opportunity to break out of those pre-packaged boxes and take your business to the next level. Registration for the next Adobe Illustrator e-course opens tomorrow, April 17th at 12:00 noon EST! There are only 40 seats available and round 1 sold out in the first 15 minutes, so be sure to visit the e-course page tomorrow at noon to grab your seat. Hope to see you there!